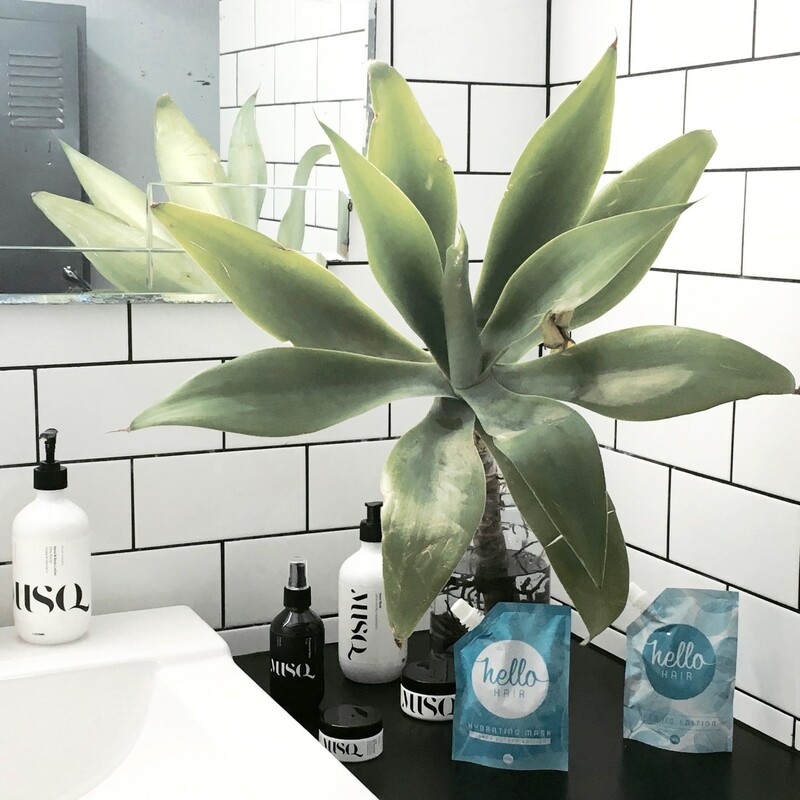 It’s the go-to hair brand with over 417K followers on instagram (@ohhellohair). 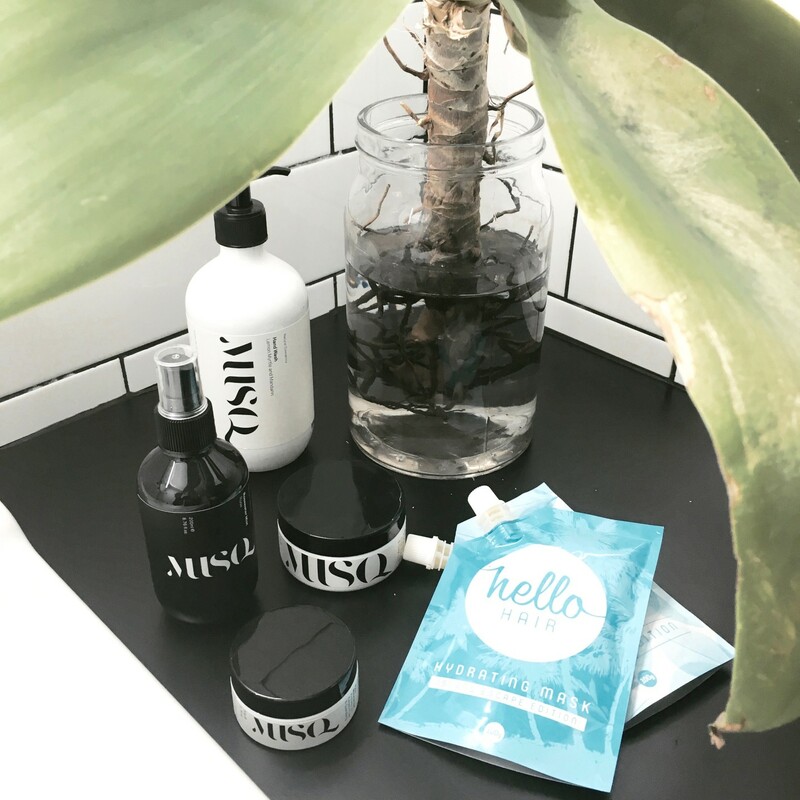 Made here in Australia this brand came about with 3 girls and a need for having amazing hair days forever; Say hello to haircare minus the nasties. 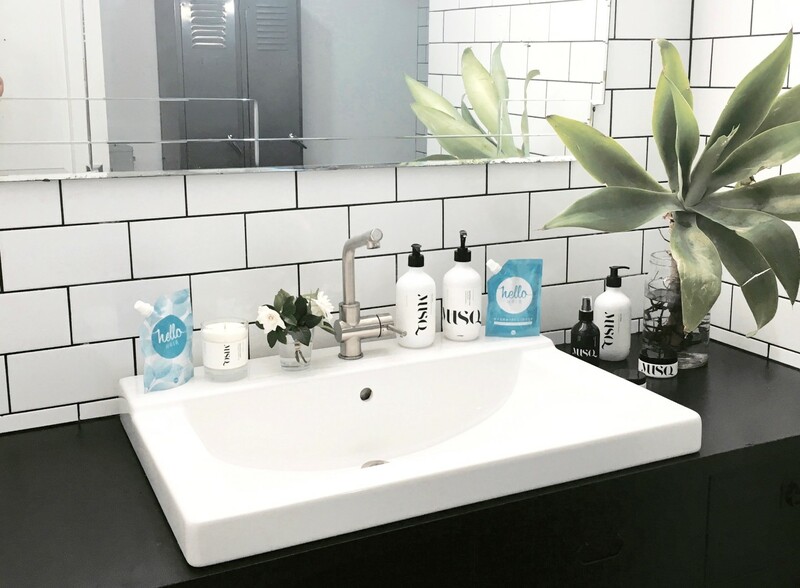 The range consists of hair products that are vegan friendly, cruelty free and suitable for all hair types AND minus all the nasty ingredients like; parabens, sulphates, silicones, proteins and formaldehydes. This brand has a big ✔ from us so we just had to find out more on the brand we love. Here’s the the 101 on hair care with Hello Hair. A. We definitely recommend that our customers use our hair masks once a week or so as part of their haircare routine, to ensure that they see the best results. This is especially what we recommend for customers who are experiencing significant damage to their strands, whether it be as a result of over processing, bleaching, chemical damage or exposure to weather elements. However, because our hair masks are 100% natural, they can be used as often as desired, and some customers do like to use them prior to every time they wash their hair. Our masks are also great to sleep in, if you’re after a super deep hydrating treatment. They don’t contain any proteins, so can be left in as long as desired. Q. What is the golden rule to making the treatment work? A. We recommend leaving the treatment in your hair for at least 30 minutes per application, to ensure that the oils penetrate the hair follicle and ensure that the strands receive deep moisture. We do say though that the longer the masks are left on, the better the results will be! Consistency is definitely key as well, depending on the hair type and the extent of damage, some customers may need to use the product for around 4-6 weeks before seeing a noticeable change in their locks. For some customers though, the change in appearance is pretty fast. Everyone’s hair is different and will respond to different products in different ways. Q. When is the best time to apply the mask? A. Our hair masks are pre-wash treatments which you apply to dry hair, before to shampooing. We recommend focussing on the areas of your hair which are the driest – generally meaning the mid length and ends. Apply the mask, pop your hair into a topknot and go about your business (housework, catching up on your fave TV show, Instagram scrolling etc) and then wash your hair when desired! Our masks are convenient compared to most hair treatments because usually, you have to get into the shower, shampoo your hair, rinse and then apply the treatment. Then you have to hang out in the shower and wait for the treatment to do its thing before conditioning your hair and getting out. Q. What can girls do to maintain hair health in-between treatments? A. We definitely recommend getting regular trims, this is imperative for healthy hair growth and strength! Even if its just a tiny trim, getting one every 6-12 weeks will make a big difference over time to your hair’s overall appearance. We also recommend investing in some ‘Hair, Skin & Nails’ tablets (the Swisse brand ones are great and easy to find in stores). We also love products like Vida Glow (sachets of marine collagen powder which can be easily added into drinks and smoothies). Foods that are rich in good fats, zinc and proteins are really great for maintaining a healthy mane. Q. What are the biggest mistakes girls make with their hair? A. Definitely overuse of styling tools like straighteners and curlers, and bleaching! Straightening your hair every day can definitely be detrimental to your locks and can encourage breakage and snapping. Over processing your strands with bleach and hair dye can also be a big problem. It can leave your hair feeling super dry and give it that ‘straw’ feel. Ensuring that your haircare products are free from nasty chemicals and harsh emulsifiers is a must! We are so proud that all of our products are free from proteins, parabens, sulphates, silicones and formaldehydes. Q. What makes HELLO Hair different? A. We have worked really hard to develop products which are naturally derived, vegan friendly, cruelty free and Australian owned. All of our products are free from nasties, meaning they’re better for the environment and better for your hair. Most supermarket and department store haircare brands are filled with unpronounceable, synthetic ingredients which are impossible to decipher. All of the ingredients within our products are clean and easy to understand. So many of our customers have switched to using Hello Hair products from commercial branded products and have seen a significant improvement in the overall growth, texture and appearance of their strands. Q. The ingredients are all natural; can the treatment be used on the skin? A. Yes definitely! Many customers have asked us this question & Hello Hair can be doubled as a body oil. Lots of our customers have used our masks on their skin after sun exposure or when experiencing increased dryness to restore much needed moisture and lustre. Our masks are also great to use during pregnancy, with lots of customers applying the oil to their baby bump to help prevent the onset of stretch marks. Q. What is your go-to shampoo and conditioner brand? A. Ours of course! We have our OG Hydrating Shampoo and Conditioner in the blue bottles, plus our Hydrating Shampoo + Conditioner for Blondes (which contain violet toners) in the purple bottles. 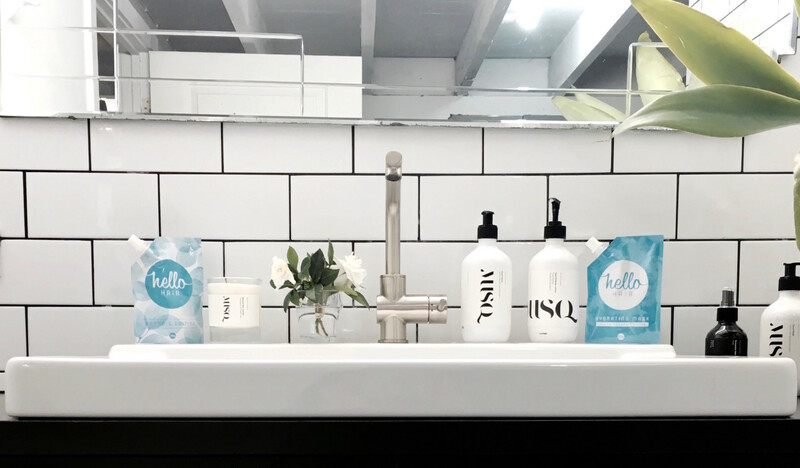 These products contain super clean ingredients, are hydrating, nourishing and will leave your hair squeaky clean, minus the chemical residue leftover afterwards. Q. What brush set do you turn to? A. Our super gentle detangling brush is an amazing addition to any haircare routine. Its thin, flexible bristles help to detangle your tresses with ease and speed. Our bristles bend as you brush, so you can coax out your tangles with less stretching, snapping or pulling. Being kind to your strands will improve hair health and shine! Our Detangling Brush works to loosen knots by drawing snags sideways, rather than downwards; making sure even the toughest tangles are gently brushed out. This brush will also lightly stimulate the scalp to increase circulation and promote hair growth. Gentle enough for hair extensions. Soft on fine hair. Perfect for kids. Suitable for all hair types. For best results use with wet hair. A. We have lots of exciting products on the horizon for the remainder of 2017 which is super exciting! We develop all of our products ourselves so the process is quite slow, but when we finally see all of the projects we have been working on come to fruition, it makes it all worth it. Stay tuned to our social media channels for more! Click to purchase Hello Hair!